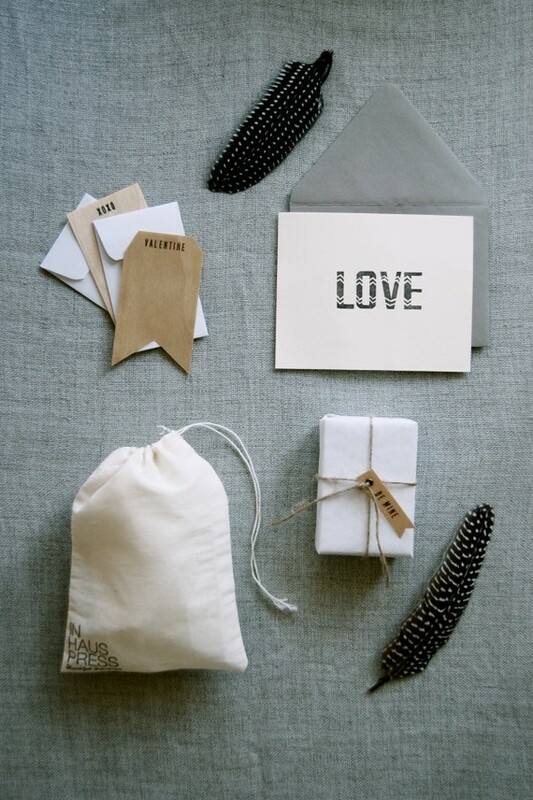 Who says valentines have to be a note card? Give your sweetheart this darling garland and their heart will sing for joy. 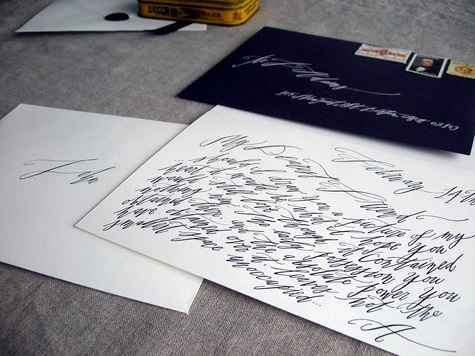 Have your message of love inscribed in gorgeous calligraphy. 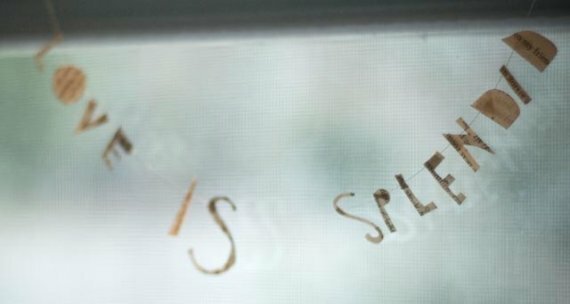 A tiny letter packs a big punch. 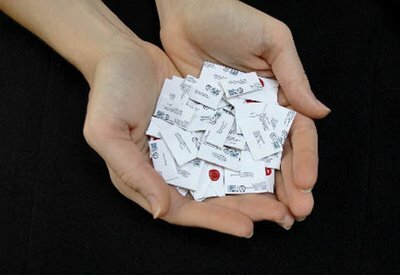 The World's Smallest Postal Service will write and send your message in minuscule form, complete with a magnifying glass and a tiny wax seal. Have a lot of Valentines? This eight-card set will take care of all of them. 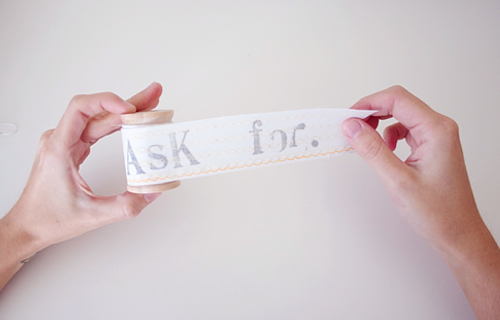 This simple DIY is so sweet... stamp or write your message onto a long ribbon, then wind on a spool and let your Valentine unravel the message from your heart. and could double as piece of art. some very romantic and pretty picks. 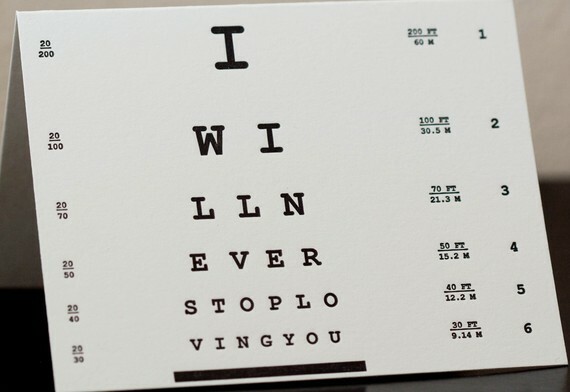 your eye chart is so romantic.. i love it!